Is Apple’s new design to get rid of plugins and use adapters good for the consumer? As a loyal Apple user, it was no question that when I went to college I would buy a MacBook. Shortly after my indulgent laptop purchase, my iPhone became slow, as iPhones do after two years. I had to switch my iPhone 6 to and iPhone 7. I was becoming skeptical of apple products. The downside — the iPhone 7 did not have a headphone jack. This simplified design has caused me more trouble than help. Apple’s new products, like the Macbook Pro 2018, got rid of necessary plugins such as headphone jacks and USB hubs, which pressures consumers to buy adapters for our plugins. You win, Apple — I am spending more money on your company. While I love my Apple products, I am annoyed with these new features. Having an iPhone 7 but an older MacBook Pro forces me to carry two sets of headphones, one for my laptop and one for my phone. Not to mention that little adapter, which is easy to lose, for headphones that are meant for a headphone jack. Apple has lured me into spending more money on its products because it is only its products that will work for my iPhone. As a consumer, this makes me feel that Apple has some sort of leverage over the products I choose; in a way, Apple runs my life. That being said, we college kids have to spend more money on electronics (mostly adapters) when it comes to Apple products — as a consumer, I find the simplicity of Apple’s new products more of an inconvenience. time for in the first place. OK, so let’s get down to real talk: No one likes that Apple got rid of the headphone jack on its iPhones. But there are a few good reasons that you should think twice before hating on that little dongle Apple gives consumers. 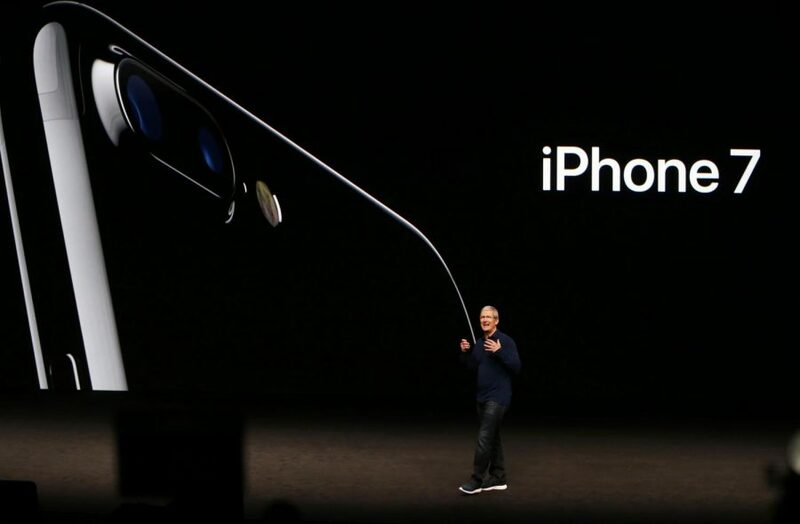 What do you think of Apple's innovations? First of all, consumers have one less port to worry about. One fewer place for something to get stuck, one fewer thing to break, and, the main factor, one fewer place to get water in. This was a huge consideration when removing the headphone jack. So, next time you drop your phone in the toilet and it still works, thank Apple. Second, that headphone jack took up a lot of room. To all of you enjoying the iPhone X, XS, XS Max, or the XR, you probably love all of that extra screen space. Guess what made that possible — removing the headphone jack. Also, fun fact: the sound quality through the lightning port is higher than the headphone jack. So those bumpin’ beats you play walking to class, going for a jog, or driving your car? Yeah, they just got better. So while it feels dumb that Apple destroyed the headphone jack, it’s OK. Everyone had a rough time moving from cassettes to CDs and CDs to MP3s, but they made it through, and we will, too. Removing the headphone jack is best for consumers.